Over the weekend of September 8th – 10th 2017 Bettina Management had the privilege of attending the Telstra Perth Fashion Festival. 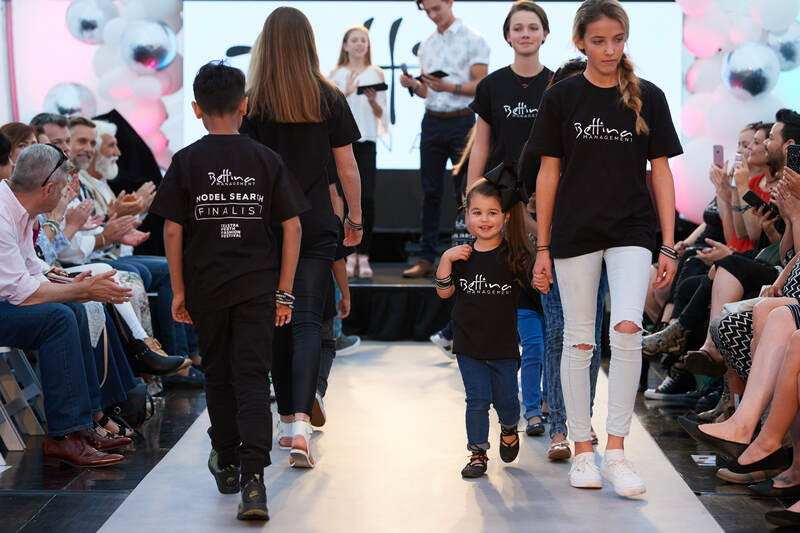 Being one of Australia’s premier fashion events, the festival included several different community, industry, and runway events for people of varying ages and styles. It is a great opportunity for Western Australia to showcase some of its most creative talent and designers on a global stage. Throughout the festival weekend, Bettina Management were lucky enough to be invited to host a model search competition in hope of finding two new junior stars that had that ‘something special’. 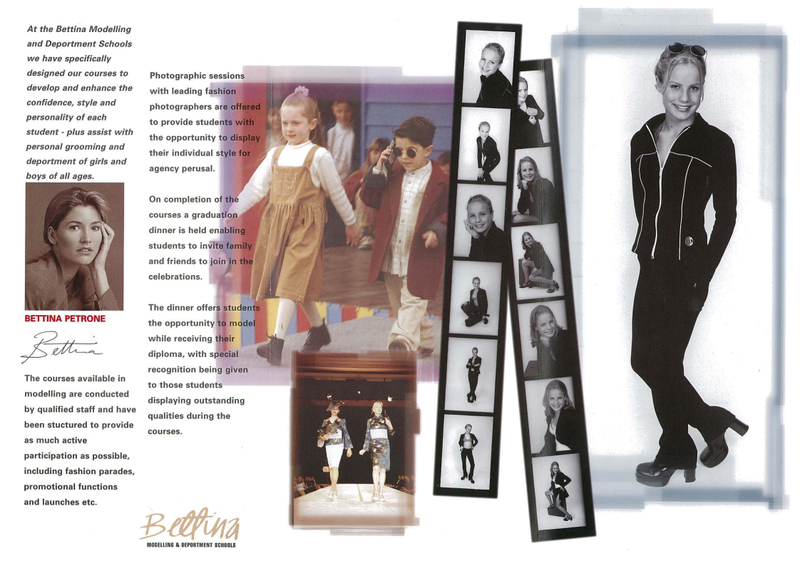 Bettina Management recently celebrated 25 years in the industry, and can proudly say that they are Australia’s industry leaders in the placement of talent in TV commercials and series, film and photographic work. 25 years in the industry has earned Bettina Management access to platforms and contacts that give their talent the best exposure to the industry’s clients. The lucky winners would be exposed to a vast array of Australia’s biggest brands such as Target, Myer, Kmart and many more. 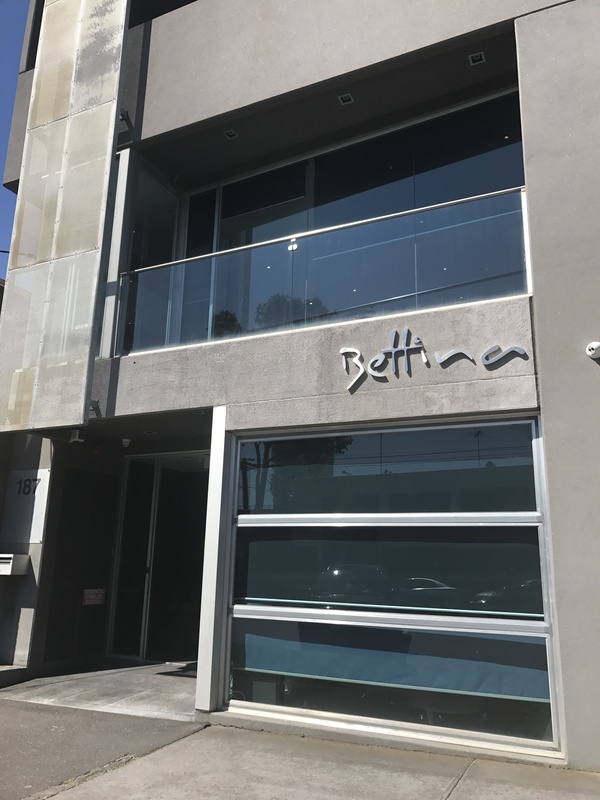 On top of this talent represented by Bettina management are also afforded opportunities to audition for major TV series, feature films, live production and more. The winners will receive 12 months representation with Bettina Management, photographic studio sessions, talent development workshops and more. In just two days Bettina Management received almost 500 entries, with many travelling to the festival just to sign up for the Model Search. From this Bettina Management were then given the hard task of selecting just 20 finalists to walk in the Finalist Runway Show on Sunday afternoon. At the conclusion of the show, 7-year-old Jamilla Whitcombe and 13-year-old Josh Scott were crowned the winners of the Model Search. These two bright stars will now begin their journey with Bettina starting with their first photo shoot to make their profiles. Bettina Management also awarded a Development Prize to Breanne Alone (8 years), who they felt possessed a fantastic enthusiasm for the industry and have offered to support her in developing her career. We wish both Josh and Jamilla the best of luck with their future submissions and castings here at Bettina Management and hope to recognise them somewhere soon! It was a pleasure to be a part of the Telstra Perth Fashion Festival and hope to again in the years to come. We are all guilty of having countless happy snaps of our little ones on our phones. When it comes to creating and maintaining your child’s talent profile, it can be difficult to choose only a handful of images that highlight your child’s unique look and personality. 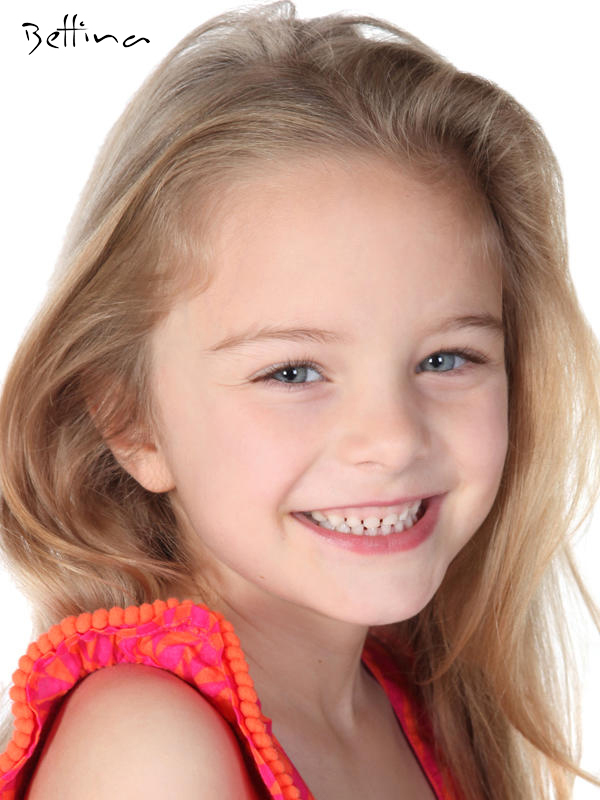 Your child’s talent profile is not just seen by our Castings Department. Our clients also regularly view your child’s profile to consider them for upcoming campaigns. We’re here to make sure that you’re keeping your child’s profile up to date while still keeping it appropriate for the industry. 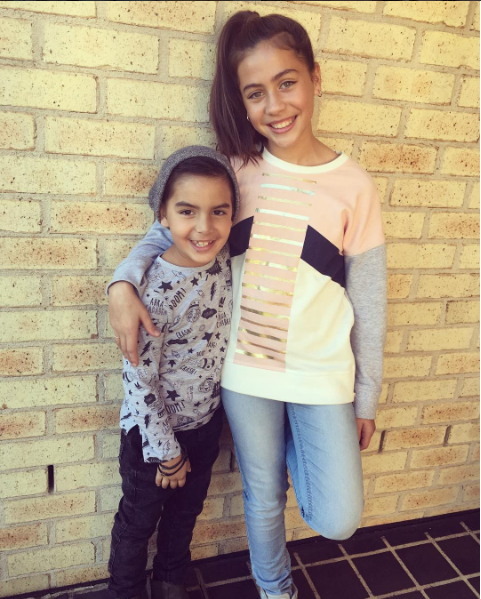 We had a chat with our National Casting Manager, Bianca Birnbaum, to give you an insight into how you should be running your child’s talent profile, and how you can benefit from putting these tips into practice. “Clients want to see your child in their most natural form,” said Bianca, “They want to see how they can style your child to fit the requirements of their shoot. Filters and black and white images are not necessary on your child’s profile.” These edited photos can hide your child’s physical characteristics including hair, eye and skin colour. The same goes for your child wearing sunglasses, hats or other items that hide your child’s features. Instead of having extremely edited photos of your child as their default picture, consider how that can look from a client’s perspective. If they are wearing make-up and their skin has been airbrushed in every photo on their profile, according to Bianca, “you are not giving our clients a true representation of what your child looks like and you might actually be pushing them out of the running for a particular job. Clients come to children’s agencies looking for talent who appear true to their age. They want a 10-year-old that looks 10, for example, not 13.” These types of photos are great to have on their profile, just not as the first one the client sees. “Using the professional headshot as the default image shows the client your child’s natural look, as most shoots don’t require the kids to wear make-up anyway.” If your child initially appears to have the look required for a client’s project, they can click to open all images and see your child’s personality and versatility. In Bianca’s experience as our National Casting Manager, if you don’t have natural photos readily available for clients to view on your child’s talent profile, “the clients will sometimes ask for more natural pictures and/or selfies of your child.” Clients may ask for these kinds of photographs, however not all bother to do so, so it doesn’t mean you can disregard the advice our experts say. It can waste a lot of time going back and forth between you as the parent, the casting department and the client that is hiring to obtain these more natural photos of your child before they are even booked for anything. Our photographers work hard to capture the essence of your child’s charisma and produce an industry standard photo for you to use on their talent profile. These “plain” looking images may seem like your child won’t stand out but they serve to show our clients what they want to see, in a format that they prefer. We encourage you to use these professional headshots for your child’s page as it is a clean and good quality image taken with the correct lighting and equipment to highlight your child’s best features. It’s no secret that social media has taken over the world, and has increasingly become involved in the lives of our children. At Bettina Management, we provide full support and representation to our talent to increase their exposure. Although, there is nothing stopping you, as their parent, from taking control of a part of that exposure by running a social media page for them. Platforms like Instagram, Facebook and YouTube can help young talent connect and engage with the industry. These spaces allow you to share extra content for peers and clients to view and possibly consider your child for potential jobs. We encourage parents to take a step into the digital world as it is a brand new way of ‘mingling’, in a way you might at an industry function or event. Managing your child’s exposure is a great way to get started in the industry. But how do we manage this exposure and monitor what is appropriate and what is not when it comes to our children’s interactions on social media? Let kids be kids! Overly styled images with a lot of make-up and mature posing are not what clients want to see. Clients are looking for kids who look like kids, so images of children playing, creating and having fun are what you want to showcase. It is important to remember that while you as an adult understand what is appropriate and the potential repercussions of what you post online, children may not have an understanding of this yet. So it is important to take control of the content posted. As with any public online profile, things can wrong. If you find your child’s page the subject of inappropriate comments, it is important to remove the person and the comments from your child’s page, delete, block, ban and make sure they never return! You do have the luxury to control your audience, so make sure you exercise that block button. “These pages are public and there are occasionally some indecent comments. Immediately delete any inappropriate comment and block and report the user right away. My daughter has her own private Instagram account which I check every day. She uses it to send messages to her school friends and only has family and actual friends, either way, you MUST still check their posts, comments and private messages to ensure they are using social media safely. Everyone has heard the horror stories of things that can go wrong. You HAVE to teach them and watch them at all times.” Heather tells us. As much as taking control and constant monitoring will keep your children safe online, it is also important to teach them about online safety and appropriate behaviour. So when an issue comes up, talk them through what the best response will be and demonstrate to them how you, as an adult, will deal with the situation. This way they will have all the tools they need for when they are a bit older and can manage their own accounts. Ultimately, social media can be a great tool to use if your child is keen to be successful in the industry. Heather has used social media throughout her children’s careers and found it to be a great way to boost their profiles. As much as it’s important to be safe, make sure you have fun with your content to get the most out of your experience! Social media is an ingrained part of the entertainment industry and beyond, so it is something that ultimately can’t be avoided. Here at Bettina Management, we recently celebrated our 25th birthday! We sat down with our director, Bettina Petrone, to find out more about her journey and what her goals are now for the agency. How did you start out in the industry? I started in the industry when I was 17 and I entered a beauty quest. I won the competition and one of the prizes was a modelling course with Suzanne Johnston, from there I joined an agency and started my career as a professional model. How did Bettina Management start? As well as being a professional model myself, I was also a dancing teacher. A lot of my students would always be asking me things about modelling, like how to walk, how to put on make-up and generally just wanting advice. So I decided to run modelling classes as well, which grew and grew and turned into Bettina Modelling and Deportment School. While I was working as a model, my clients found out about my modelling school and asked if any of my kids would be interested in doing some work. So it started by helping out some of my clients with their campaigns, and like anything else, it just grew so I decided to start the agency. In the beginning, I was interviewing new talent and working from my home office in Moonee Ponds, as we got bigger we moved to the Docklands and a few girls came on board to help me with the bookings and running the agency. And well, the rest, as they say, is history! What were the first years like starting a brand new agency? Every job we got was exciting, they were all firsts for us so it was a very enjoyable time for the kids and the agency. Our first campaign was for Run Scotty Run, a kids clothing label, so to see one of our kids in print was a fantastic moment. The agency grew very quickly and we eventually opened up agencies interstate to keep up with the demand over there. We also started booking a whole new range of jobs, not just catalogues and print but TV commercials, feature films, TV series and all kinds of work. It was wonderful to see our kids were now not just models but mini-actors too. What were your goals with the agency? When we first set out it was just to keep up with client demand, I enjoyed helping out my clients and providing them with quality child talent. But once we really got going, our goals were also to help our kids grow as little professionals and find more new talent. We loved helping kids break into the industry and see their skills and confidence grow. I loved working in the industry as a model myself, so getting to share that experience with young talent was a real joy for me and I love to see how we have continued that today. How do you think the industry has changed since you started the agency? The industry has changed a lot with the introduction of technology. We started out with printed comp cards for each child, which could take weeks to create (and become outdated quite quickly, as kids grow so fast!). When a client would request a child, we would have to pack the comp cards into the post and wait for the client to receive them and send them back before they could be sent to another client. 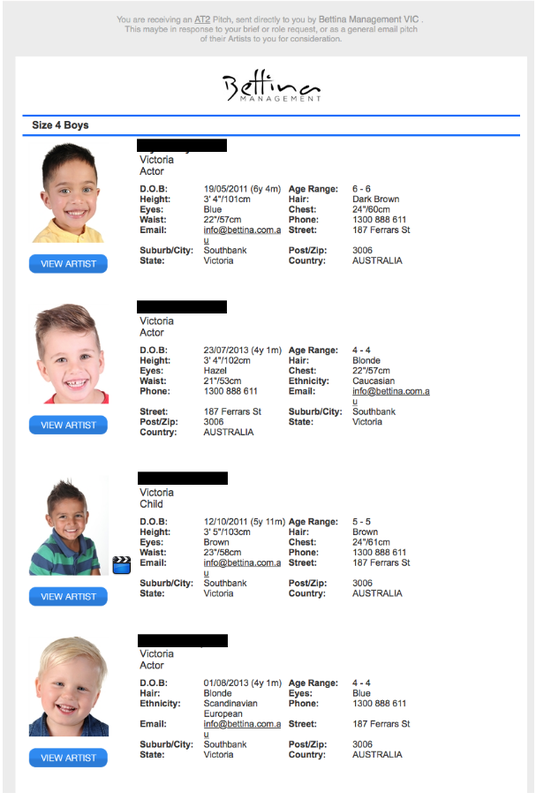 We now have a sophisticated online database for our talent and access to all the industry casting platforms, which means we can submit each child to multiple clients every day (and no more trips to the post office!). The whole process has become a lot smoother and opened up so many more opportunities, as jobs can now turn over a lot quicker. What has been a highlight for you since the agency began? It has all been a great experience. I have loved seeing the agency go from strength to strength and continue to grow. We have worked on some amazing campaigns from iconic TV commercials to Hollywood blockbusters and our kids have flown all over the world to work on campaigns. All of these moments have been highlights for us so it is hard to pick just one! Ultimately, seeing the great team that we have built across Australia and the continued success of our talent is something I take great joy in. What are your goals for the agency now? 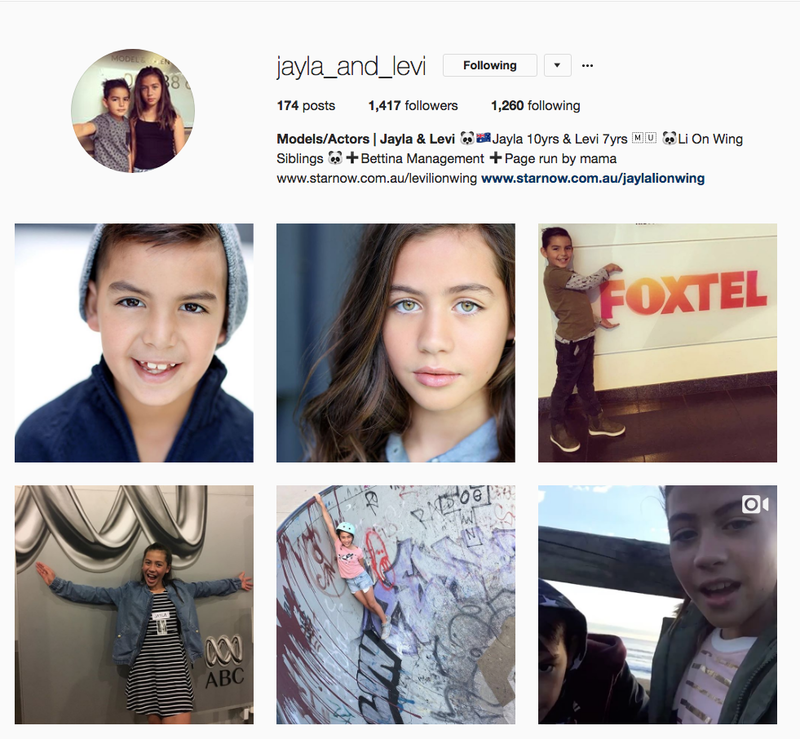 Our goals for the agency now are to maintain our status as Australia’s top children’s talent agency. We want to continue to build and maintain our client relationships so we can attract the best talent. We will also continue to be the industry leader in educating and informing parents on how the industry really works. It’s no secret that working in the entertainment industry is the ultimate rollercoaster. Soaring highs and crashing lows are part and parcel of working as a model or actor. As adults we have (mostly) come to grips with life’s twists and turns, and can take a bit of rejection and disappointment on the chin. But how do we manage this when it comes to children? Every day we have kids being driven off to castings, they sit in the back seat of mum or dads car filled with hope and a little bit of nerves, and maybe some unrealistic expectations. For a lot of kids this might be their first ever casting, so of course they are not going to know what to expect. They will then pop into the studio to meet with an unfamiliar face (or a few! ), and be asked questions and may be prompted to read a script or act something out for the casting director. It will all be over in the blink of an eye, and then the waiting game begins. Most experienced actors and models will be able to manage their expectations professionally, and not allow their thoughts and desires to run away with them. While they would LOVE to book that job, they know that it is anyone’s game! So how do we teach this wisdom to children? A lot of this will come with experience, and the best way to show your child the in’s and out’s of the industry is exposing them to what a casting may be like, attending workshops and talking to them about what to expect (you can get this info from your agent) will set them up with the right expectations. It is important to explain to your children how the industry works and be totally honest, tell them that even if they attend the audition that there’s no guarantee that they will get the job. All they can do is try their best and have fun! Kids should treat each experience whether it be an audition, casting, callback, wardrobe fitting or shoot as a fun and enjoyable activity, and not place the focus on booking the job. “Being requested for a casting is a huge achievement in itself. This means that your child has been shortlisted out of possibly hundreds of kids, for an in-person meeting with the director, stylist or casting agent. Being “seen” in this industry is always valuable – booking the job is a bonus! So all in all, castings and auditions can be great fun for kids and it’s important to set them up with the right expectations so this experience doesn’t turn into a negative one if they don’t book the job. We want to keep our kids interested in the industry and motivated to keep trying even when it doesn’t eventuate to a booking, so keep it light and have fun! There are many myths and misconceptions about the entertainment industry and what it takes to “make it”. This industry is full of wonderful opportunities, but there is also no clear path to how to make these opportunities happen for you. While there are many legitimate, honest industry professionals from agents, casting directors and performance coaches who genuinely want to help and nurture young talent, there are a few who take advantage of those eager to enter the industry and their uncertainty about how the industry really works. The fact is that there is no set path, nor formula for success in the industry. Because of this, it is easy to market a ‘guaranteed’ way to ensure success or create an impression that any one factor could mean commercial success, whether it be an agency, workshops, work without pay or portfolio shoots. Too often, as agents, we too often see people and businesses trying to “sell the dream”, making promises that they cannot realistically fulfil. The reality of the industry is that no one can guarantee that there will be work or that they can get that work going your way. There is no one who can create work or can give talent work (via agents) other than the clients themselves (being brands, production companies, advertising agencies etc). This industry is purely based on the individual, so no matter the track record of talent booked through an agent/coach/director, there is no guarantee that this means the next talent they sign will have the same success. Be wary of those who parade only one or very few examples of past successes. You are only as relevant in the industry as your last jobs suggests, so make sure to verify the actual claims of booked talent. Essentially, look for consistent, regular work for a variety of talent. Workshops or coaching is a great way to gain experience and further your skill-sets as a talent, whether it be in modelling, acting, dancing or all of the above. However, workshops are often marketed as “exposure” to industry professionals with implied success just by attending and mingling with casting directors, producers and others there. The fact is unless an actual client has a current job needing talent just like you, there is nothing they can do to get you a job or further your career. While you will get the exposure promised, this may be true, it must be taken with a grain of salt. The truth is you should treat any workshop or coaching as purely a learning experience! Same goes for ‘audition days’ promising to give you a foot in the door. ‘Real’ clients who can hire talent, do not need to advertise audition days and ask you to pay to attend. They can look at talent for free by contacting agents who will submit suitable pre-screened talent. An agent is your best bet in the industry. A lot of clients will only engage talent through a reputable agent, due to the complexities of coordinating castings and bookings. It also allows clients to view a range of talent and have the peace of mind that the agent is there to handle majority of communication and coordination, so being signed to an agent will give you the best exposure to the industry’s clients. However, you must choose wisely. Look for an agent that is upfront about the reality of the industry, if they guarantee that you will get work through them, or give you a percentage guarantee (eg. there’s an 80% chance you will get work), then tread carefully. NO agent can guarantee work to anyone, as they are not the decision makers. An agent’s role is to build and maintain relationships with their client’s, so they can give their talent the most and best opportunities possible. They should also provide realistic career advice and assist in the professional management of your castings and jobs. At the end of the day, you should always give your best and take up all opportunities that come your way, but it is wise to be considerate and careful of where you invest your time (and in some cases, money!). While no one can give you a guarantee of success, there are those who can give you realistic advice and help along your journey. We’re all about celebrating successes here at Bettina Management! So we thought we would recap the crazy, fun, whirlwind year that was 2016, and some of the amazing things our little stars got up to in the last 12 months. Telstra Perth Fashion Festival is one of the biggest nights on west coast for fashion. It was a Bettina first when we got a request for our very own kids to walk for luxury children’s fashion label – Mischka Aoki, who’s gowns have been worn by many mini-superstars, including none-other than Beyonce’s daughter, Blue-Ivy. Three lucky girls made it through the casting process and were awarded a spot on the runway for the big night. Keara, Emily and Scarlett did us all proud and worked the runway like they had been doing it their whole lives! With our Perth Talent Coordinator, Gloria, cheering them on from the sidelines it really was a night to remember! Miss Allegra is the hardest working 6 year old we know! She has been working away with our friends at Wellcom Worldwide shooting for Target Australia’s catalogues for the past year, but she always kept her eyes on her big goal – a spot in a TV commercial. 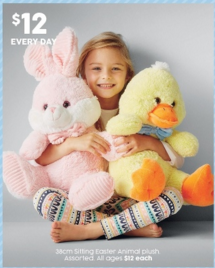 Well one day in February we got a very exciting request, a casting for Allegra for a Target Easter TVC! Allegra and her mum Chelsea popped along to see our friends at Casting Sugar, and then we patiently waited for the good news. Thankfully the good news came and Allegra’s dream came true! Who doesn’t love an all-expenses paid holiday! 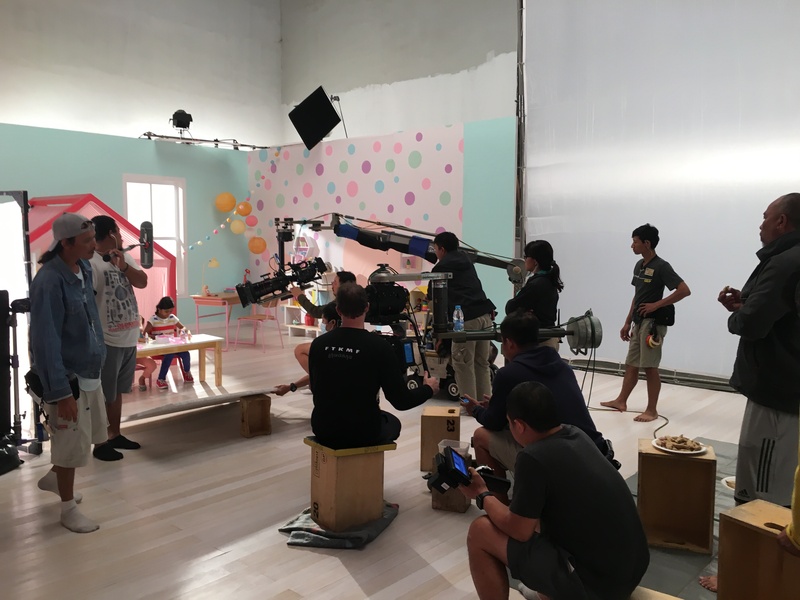 While it wasn’t all lounging by the pool for our talent this year, our kids had some amazing experiences shooting interstate and even internationally for some incredible global brands. Matching talent can be a casting director’s most difficult job, but sometimes the stars align and everything just falls into place. 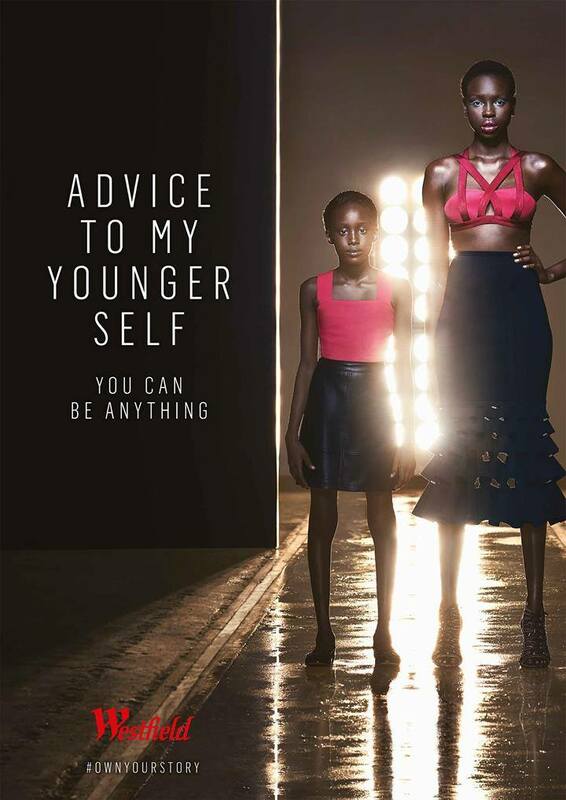 One of those moments was when a Westfield TVC brief came through for a child version of Australian model, Yaya Deng, and we knew we had the perfect girl. The only catch was – she wasn’t in the right state! But after weeks of casting and no luck, we suggested our girl Achok, and as we already knew, she was perfect! Achok and her mum were flown to Sydney for a few days of shooting, and the end result was simply incredible. Isn’t it every little girl’s dream to model for the one and only Barbie brand? Well, one little girl’s dream came true when she was cast as the Australian representative in the Barbie – “You Can Be Anything” campaign, and this was just the start of the good news. Not only would our Maya be part of a truly special campaign, celebrating young girls aspirations and dreams, but she would also be flying with her family to Bangkok, Thailand to film the campaign! Maya travelled with her whole family and our own Talent Coordinator, Jess for a jam-packed week in Bangkok. The final product speaks for itself, there were certainly a few tears in the Bettina office when we saw this for the first time. This year was the year for families. We had so many kids and parents working on set, killing it as a family unit. Our clients are always looking for real people and genuine connection and what better than a real family to produce this. 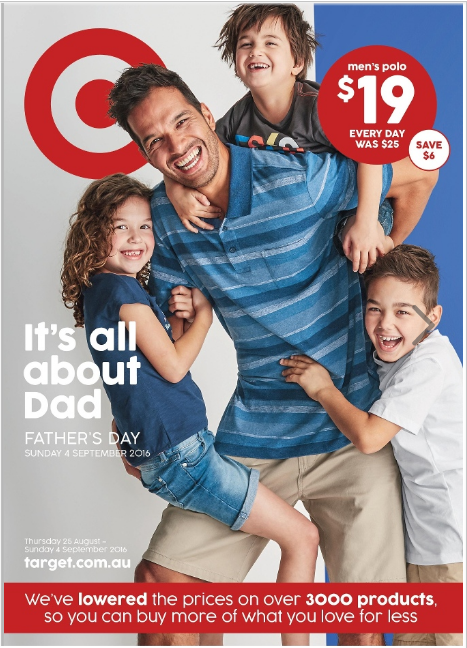 The Gerritsen family, originally from Holland, worked for multiple clients and brands, including Australian Country Spinners, Britax Australia, Target and Cengage Learning. They are truly a superstar family; workable, fun, creative and charismatic, all the qualities that we look for and our clients love! We also had several families booked for regular clients such as Cengage Learning and Britax. A big thank you to all the parents who stepped up to the plate and participated, we know it wasn’t exactly what you signed up for, but you smashed it nonetheless. Along with the successes of our wonderful talent, we also made a couple of other leaps and moved premises in two states. After nearly a decade in Alexandria our Sydney agency turned over a new leaf and shifted premises to lovely Chippendale, whilst our Melbourne agency & Bettina HQ moved from Docklands to Southbank; settling into a beautiful building in the creative hub of Melbourne, with many other neighbouring creative agencies, production houses and studios. What a wonderful year it was. Thank you to the tireless efforts of our Bettina team, our talent, the parents that make it all happen and our clients who have given our talent some amazing opportunities throughout the year. 2017 is shaping up to be even bigger and better! Kellie is the mother of two lovely twin girls, Chelsea and Chloe, who have been with us for 6 years! She has spent years driving them to and from castings and jobs, helping them in and out of wardrobe changes, coordinating school, extra curricular activities and bookings for Target, Kmart and many more! We sat down with her recently to have a chat about her perspective on having her kids working in the industry and any tips she has for parents who are just starting out! What did you look for when deciding on an agency for the girls? We were looking for somewhere that was trustworthy and somewhere where the children could have fun and be respected. How long have the girls been working in the industry? Why have you have kept for this length of time? The girls have been working for about 6 years, we kept going because they’ve had constant jobs and work along the way so while that’s happening and they’re having fun we thought why not keep going and enjoy the ride. What do you find challenging about having your children working in the industry? Sometimes it’s a little bit difficult having twins, especially because they’re not identical. Sometimes one twin might get more work than the other, so it is a juggling act that we deal with. But we’re pretty realistic with that, and we understand that its the client who’s picking the talent. What is it like seeing your children on TV and in print? It definitely makes me proud to see my girls in campaigns on TV or in print. But the fact that they’re enjoying it and having fun is the best part. In what ways has working in the industry impacted Chelsea and Chloe in their life? Working in the industry has had a positive impact on their lives, its helped them become more confident, everywhere they go they have a smile! Do you have any tips for new parents entering the industry? Keep it simple! Be on time, listen to instructions and most of all have fun. The entertainment industry is one of the largest industries in Australia, and arguably the world. It is a busy, fast-paced and ever-changing industry which can be difficult to navigate for even the most seasoned professional. While it is definitely possible to operate as a freelancer and handle all aspects of your or your child’s role as an actor or model in this industry, there are some very important factors that you should consider when deciding whether you need an agent or not, especially when it comes to your children’s career. Your agent operates as the bridge between ‘talent’ and ‘client’. The client being those who require talent for their upcoming projects, whether it be a feature film, television commercial or photographic shoot. Clients may be casting agents, production houses, advertising agencies or photographers/companies themselves. The talent is YOU! An agent’s job is to not only represent the talent, but to keep positive working relationships with clients so they keep coming back to book talent. A lot of work goes on behind the scenes with clients before agent’s get in contact with the talent themselves. Agents receive briefs daily from clients for upcoming projects, their job is to submit all their suitable talent for consideration and to coordinate castings and/or auditions as needed. A children’s agent also needs to work with clients to ensure they have the appropriate permits (depending on the state) to be working with children and that they are aware of the guidelines they need to abide by. New clients are always vetted prior to the agent submitting talent. Once talent have been confirmed by the client, the agent will organise forms to be filled out by the client and parent, and will pass on all relevant details to the talent for the shoot. Agents are also responsible for negotiating rates, invoicing clients and paying talent. Why is an agent important? Your agent is your child’s ‘gatekeeper’ to the industry. They have direct contacts with clients and are able to promote your child to their client base. Many clients will only source their talent through talent agents. 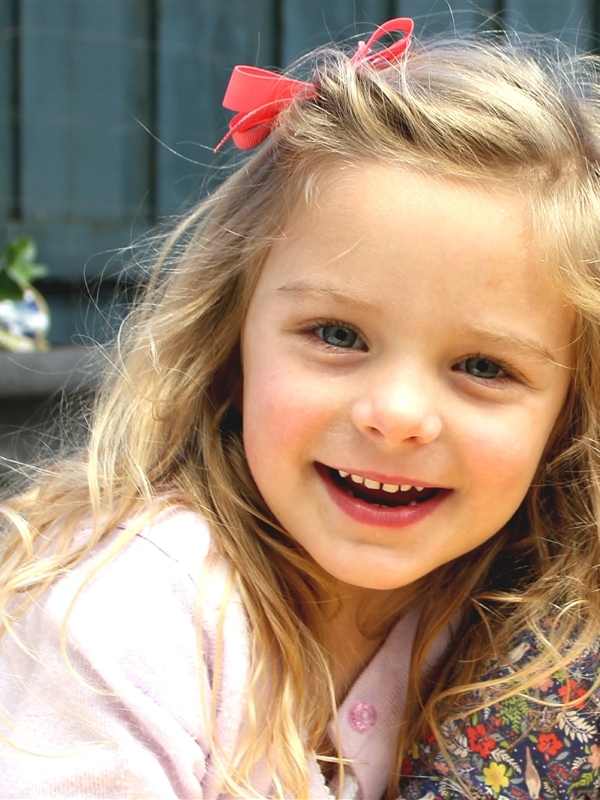 Agents are also there to ensure that your child is safe on set and at castings, by only working with vetted clients. Agents are always there to provide support and assistance to talent, especially when they are new to the industry.